Let me start by explaining my own ignorance of the modern literary scene. “Modern” being a term to encompass roughly the last 30 years worth of publications. Observers of this blog may have noticed my rather strong predilection for the modernist movement and it’s true that the number of contemporary works I’ve read is pitiful: Two (or possibly four) from Paul Auster and one each from a handful of others. Lest you think it’s just my serious reading that’s antiquated: When I want a throw-away book I inevitably reach for something from the 70s at the latest. About a year ago I decided to make a concerted effort to read things that were up to date and of the notes I took only those for The New York Trilogy seem worth replicating and re-editing here (the original dates from August 12th, 2011). …I am supposed to do a job, one little thing, and I have said yes to it. If all goes well, it should even be quite simple. I have not been hired to understand – merely to act. This is something new. To keep it in mind, at all costs. Unfortunately Quinn does not keep it in mind. He is obsessed with understanding the nature of the madman Peter Stillman and in his pursuit he assumes identities, makes maps which he believes are secret messages and reads Stillman’s book in a fruitless effort to get inside the man’s head – eventually forfeiting his own identity to the process. City of Glass is the most nightmarish of the trilogy. 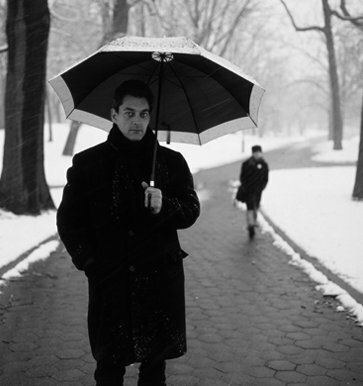 I can’t bring myself to spoil the various twists of the plot; suffice to say that this is a New York where anything can happen, where people’s actions are often inexplicable and where the only genuinely sane character happens to be self-satisfied and somewhat useless fellow called Paul Auster…. Ghosts is a novella set back in the forties, dealing in present tense with a detective known as Blue, hired by a man named White to watch a man named Black. The only thing is that White never gets in contact with Blue and Blue is stuck watching Black and waiting for something to happen for years. 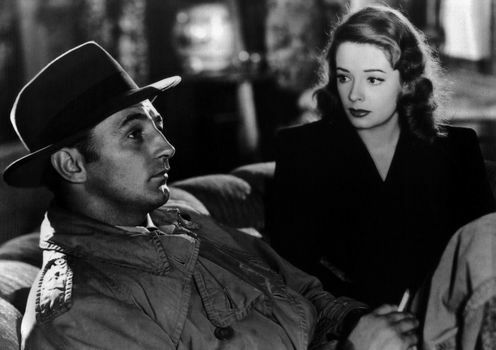 For a brief moment it seems a classic detective story is about to get going, but soon enough action is replaced with mimicry – if Black is seen reading a book, Blue will then find a copy for himself. As this extroverted detective finds his old life vanishing behind him, and with nothing to do except watch Black sit at his desk writing every day, Blue turns to introspection. An implosion is set to occur, and things really heat up when he begins breaking the rules and interacting with Black…. Lastly, there is The Locked Room, a first person narrative by a man who considers himself a talentless hack writer. Then the wife of Fanshawe, his friend from long ago, gets in touch to tell him Fanshawe has disappeared (presumed dead) and left instructions for HIM to deal with his unpublished literary legacy. The narrator steps into Fanshawe’s life, publishes Fanshawe’s work, marries Fanshawe’s wife and adopts his son. Then there’s a letter (arriving almost back to back with a request for a biography) and the narrator embarks on a quest to learn about the “real” Fanshawe through eyewitness accounts. The portrait that emerges is of a brilliant, mercurial man hovering on the knife-edge of madness…. There is a distinctly chilly flavour to these novels – only the final book really warms up; it’s only then that the characters seem to live as something other than ciphers. I spent much of the first two stories wondering how Auster could have written something like Leviathan when he started out so callous. The character of Quinn is incredibly tragic, as is Peter Stillman the younger – yet in Auster’s service they never open up, they are merely vehicles for ideas (or in Peter’s case a style of narrative). There’s no heart; only brain. In that way, The Locked Room can be considered the first mature work in Auster’s fiction, the first one to tie into later works such as Leviathan in any meaningful way. This is not exactly a criticism of The New York Trilogy – it is what it is, and that is consistently interesting. Madness and existential misery are not the only things on offer in these stories. Auster is the king of useless information and is happy to share it. So along the way you’ll be treated to a whimsical dissertation of Don Quixote and far darker distortions of Milton and Carroll; you’ll get a whole chapter dealing with true cases of neglected children, capped off with Kaspar Hauser; you’ll learn which year it was that St. Christopher was decanonized and get a complete synopsis of Out of the Past (one of the greatest film noirs ever made), not to mention the life story of Lorenzo Da Ponte. You’ll swear he’s making this stuff up, and the great glory is it’s all true. His cabinet of curiosities is mostly for entertainment and colour, adding little by way of plot, but who needs plot on every page? The real thing a book needs is resolution and it’s here that things get sticky. There are no answers to any of the questions raised, as I may have made clear earlier. The problem with this arises when Auster tries to “link” the stories together at the end. He devotes one throwaway paragraph to the issue. This raises more questions than it answers and leads me to ask: Was Auster trying to outfox his readers by way of a joke? What was the point of creating a character called Quinn in the third story who is obviously not the same Quinn from book one? If it was to highlight the meaningless fluidity of identity then that means The New York Trilogy has no deeper connection than shared themes, which means the attempt to connect the stories at the end is patently false. And this line of thought leads to the idea that Auster created a headscratcher to which there is no answer – meaning it likely didn’t have one for him either. Which brings me round to the idea that the open-ended stories might stem just as much from a form of acceptable writer’s block, from him dreaming up fantastic scenarios without being able to find a satisfactory answer to questions raised – in which case he is remarkably similar to his characters and to his readers. An amusing thought. What better way to expose the failings of language than to publish a novel you weren’t able to finish? I could go on, but there’s no point. The New York Trilogy is one of those books that could be considered differently by every person who reads it. Those are just my ideas about it. No, I don’t like it quite as much as I did Leviathan, but it stands well on its own merits and I definitely need to check out more Paul Auster. Recommended. I still have my reservations about Auster — or more precisely, Auster’s reputation — but a dash of skepticism is good for any reading experience. The “unresolved mystery” sounds a lot like Pynchon’s “Crying of Lot 49,” since the plot involves a conspiracy that gets more and more mysterious as the novel progresses. It might be fascinating to read this in parallel with Wittgenstein’s “Philosophical Investigations,” since he asserted that philosophy was a language-game. “The limits of my language mean the limits of my world.” — From his “Tractatus Logico-Philosophicus” (1922). And from your review, it sounds like Auster wants to explore those linguistic limits in the world he created. Well, I don’t blame you for being skeptical about Auster. “Ghosts” did read a bit like a much better-than-average writer’s workshop assignment. It was the weak link, but the trilogy overall was good and wonderfully brisk in execution (since most trilogies read like the author’s attempt at a magnum opus). And there’s something very refreshing in an author admitting that past a certain point he really doesn’t know what he’s doing anymore. A writer who won’t supply the end, who pushes to the limit of language and therefore destroys the meaning of the plot, has in a manner forfeited control of his text; and that’s why Auster’s attempt to link his trilogy is annoying – I think it’s either a failed attempt at regaining control or a successful attempt to prove he couldn’t. Or maybe I’m being too analytical about it. Robert Coover’s Noir sounds like another experiment with the hardboiled detective genre and I’m hoping to read it sometime. As for Pynchon, the only one I’ve got is Vineland. Is that a good place to start? Neat that you’ve read Wittgenstein. I’ve heard he’s very difficult to read. But then I’m only familiar with the amateur homebrew philosophers such as the Stoics and Nietzsche, so something such as the Tractatus Logico-Philosophicus naturally looks intimidating. I have not read Leviathan, but having read The New York Trilogy a good few years ago it put me off reading any more of Auster’s work. I understand and agree with your review and if you enjoy a purely intellectual attempt to prove a point then this is definately a good book. Or should I say a worthy book – I found it unsatisfying and meaningless, or, as you mentioned all head and no heart. Regurgitating obscure facts is a feeble way to give the book colour, a city like New York has enough colour of it’s own, but it’s completely drained from this book. To avoid a book being no more than a dry formula shouldn’t literature engage emotionally (at least a little bit) as much as intellectually….? Sorry I didn’t reply earlier. I haven’t been on the computer lately and missed this. Your comment is food for thought. I suppose it all depends on what you’re willing to accept from a novel. 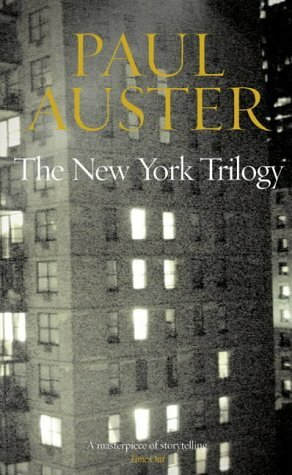 It didn’t take long for me to figure out the New York Trilogy was pretty much just an intellectual exercise but I enjoyed it for its general weirdness and took my feeling of being slightly dissatisfied at the end as something Auster was aiming for. I recommend it to people as an interesting curio, not as a modern classic or great work of fiction. You are right that literature should engage emotionally as well as intellectually. Auster doesn’t seem to be much of a resonance guy – but for what it’s worth, Leviathan did move me. It felt like a real novel whereas the Trilogy felt more like a series of writing experiments. Of course, my opinion is that a book that doesn’t bother to engage emotionally is usually better than one that tries and fails to do so. I find your use of the word “formula” quite enlightening to this. I think for a novel to be truly great there must be a sense of awe. A question of “how is the author doing this?” It shouldn’t be definable by the tools used or by the blueprint for the work. I’d call it “soul” and The New York Trilogy doesn’t have much of it. Unpredictable as it is, it remains on the level of a formula and never transcends it. At any rate, such are my thoughts right now. You made some interesting points. Thank you for troubling to comment. I always appreciate it. I read your review, because I wanted to do some research on The New York Trilogy for the essay I’m trying to write about it. I managed to find another link between the books and it gives them yet another dimension – the subject that is contemplated by Paul Auster in this work is a lot different in my eyes and I think that it would be an interesting reading for you, once I finish it. Most of all the ending won’t seem too you, I hope, devoid of an answer. I should have it ready in a couple of weeks, but since English isn’t my native language (I’m going to write in Polish), you’d have to give me some more time to translate it. Of course if you are interested. I think you can expect it in a month or so, supposing it isn’t delayed by my working on other writings. Again, it could quite change the way you are thinking about The New York Trilogy, maybe even make you such an admirer of this book as I am. You made some interesting points and I’d be happy to discuss them with as soon as you finish reading my essay. Why did you say that there are 2 different Quinns: one in book 1 and the other one in book 3 ? I read these great stories a long time ago, but if I remember well on book 3 Quinn disappeared, nobody knows what happened to him. Isn’t logical when you know what happened to him on book 1?